If you find yourself making these kinds of statements you may have tinnitus, a common hearing condition where you hear noises or perceive a sound that others can’t hear. As many as 45 million people in the U.S. also have this condition. Most describe it as ringing in the ears, but it can also sound like a thump, a dial tone, buzzing or several other sounds including a pulsing noise. Ringing in the ears may seem harmless depending on its severity. But there are definitely some times when you shouldn’t ignore it. 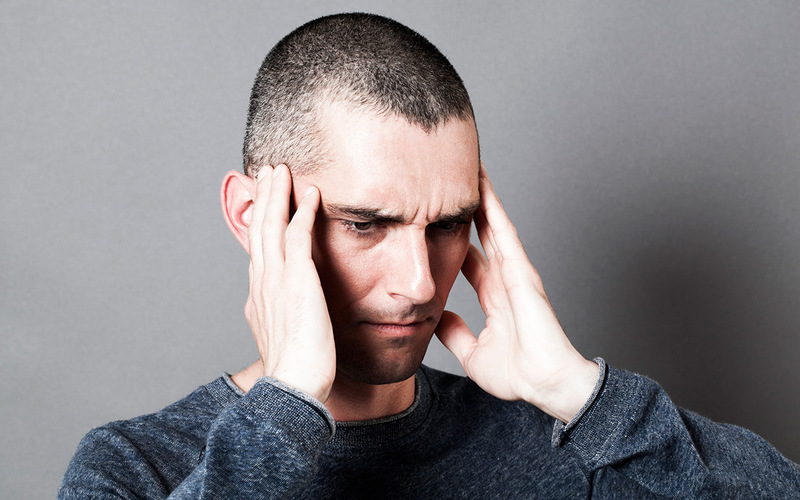 Tinnitus symptoms can often be a sign of something more serious going on in your body. Here are 6 tinnitus symptoms you should take seriously. The National Health and Nutrition Survey conducted by the CDC (Centers for Disease Control and Prevention) found that 26% of tinnitus sufferers experience that ringing on a nearly constant basis. This annoying, ever-present noise can lead to all kinds of relationship problems, insomnia, anxiety and even depression. Something as simple as listening to your daughter share a recipe over the phone becomes a battle between her voice and the noise that overshadows it. You might snap at your grandson who asks a simple question because the ringing stresses you out. Constant ringing can cause a vicious cycle. As your stress level goes up, the ringing gets louder. Louder noise makes you more nervous and so on. If your tinnitus is contributing to these kinds of life challenges, you shouldn’t ignore it. It’s real and it affect your quality of life. There are treatment options that can significantly reduce or eliminate the noise in your ears. Whether you have chronic back pain or cancer, doctors may try several different medications to treat the same condition. Some of these will have side effects so severe that you may want to ask about alternatives. If your tinnitus began or got seriously worse after you started a new drug, check that list of side effects and talk to your doctor. This may be a sign that high blood pressure is causing your tinnitus. When you have hypertension, the blood flow to your inner ear is compromised. Not only is unregulated high blood pressure dangerous for your overall health. Over time, it may cause or worsen age-related hearing loss. If you only hear the tinnitus when you leave a noisy place like a factory, concert, aerobics class or bar, then the place you just left had noise levels above safe levels. If you ignore this occasional tinnitus and don’t start to protect your ears, it will likely become constant over time. And hearing loss will probably accompany it. If you work in a noisy place, follow work rules regarding earplugs and earmuffs. They’re designed to protect you, but they only work if you wear protective gear correctly. We hope you wouldn’t ignore facial paralysis regardless of whether you have ringing in your ears. But when the tinnitus symptoms are accompanied by paralysis, headaches and nausea, this may be a sign of a slow-growing benign brain tumor called an acoustic neuroma. Do you also have hearing loss that seems to get worse, then better, then worse again? Do you also feel dizzy off and on? When accompanied by tinnitus this means you need to be screened for Meniere’s disease. This causes a fluid imbalance in your ears. If left untreated, it often gets worse and may increase your risks of serious falls due to lack of balance. Mild ringing in the ears may seem harmless. But sometimes it’s a sign of something more sinister happening in your body. If you’re experiencing any of the above symptoms don’t hesitate to schedule an appointment with a hearing professional to improve your symptoms and rule out other, more concerning, causes.